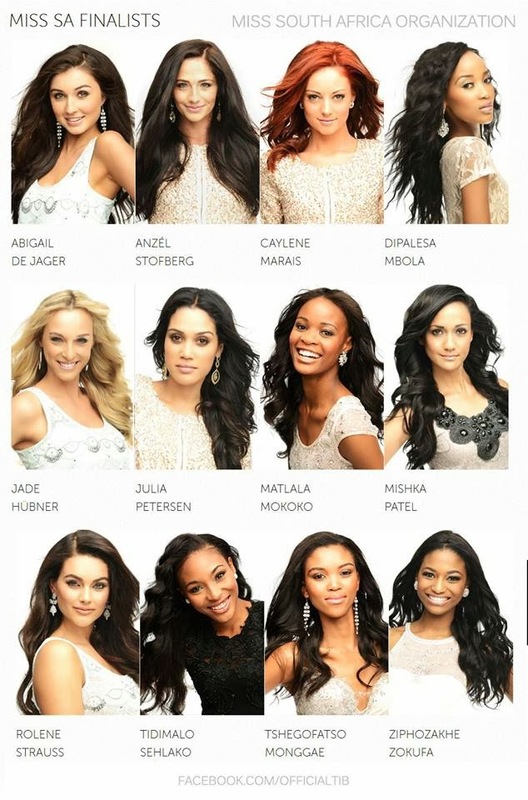 The 12 contestants who will battle it out for the Miss South Africa 2014 title were revealed on Sunday, February 2nd. The winner will be crowned on March 31 at the Sun City Superbowl. In my opinion only ONE of these ladies could get us close to a Miss Universe title and that is Rolene Strauss. She is facially beautiful and, with the right styling, she could go all the way. She is a med student so she has the brains as well (She just needs to work on interview. Many of us remember how she battled with the final question in the year Melinda won) . Ziphozakhe also seems to have "something special" and Tidimalo also has potential... but Rolene is "the one"
Rolene Strauss looks Miss World Material to me, but there are lots of pretty girls. ANZEL STOFBERG- OH EM GEE!!! Gorgeous and has the BODY of the pageant. She looks like actress Emmy Rossum and will take the international pageant circuit by storm. TSEGOFATSO MONGGAE- Just perfection. She has the face and the body and not to mention a world class personality.